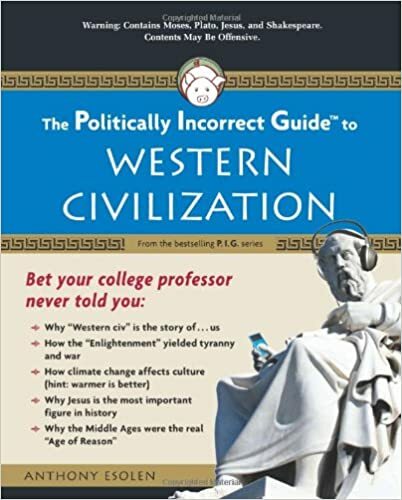 For more information on Egyptian social classes and other counter-intuitive facts of ancient and medieval history, see Anthony Esolen’s The Politically Incorrect Guide to Western Civilization. 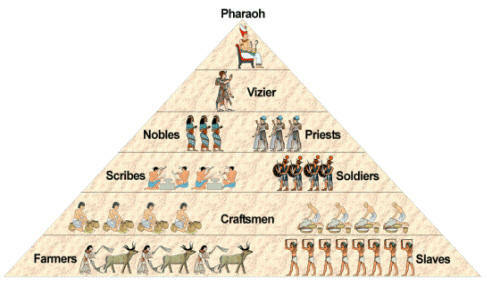 The ancient Egyptian people were grouped in a hierarchical system with the Pharaoh at the top and farmers and slaves at the bottom. Egyptian social classes had some porous borders but they were largely fixed and clearly delineated, not unlike the medieval feudal system. Clearly, the groups of people nearest the top of society were the richest and most powerful. The diagram above shows the structure of ancient Egyptian society. The Vizier was the Pharaoh’s chief advisor and was sometimes also the High Priest. He was responsible for overseeing administration and all official documents had to have his seal of approval. He was also responsible for the supply of food, settling disputes between nobles and the running and protection of the Pharaoh’s household. Craftsmen were skilled workers such as – pottery makers, leatherworkers, sculptors, painters, weavers, jewellery makers, shoe makers, tailors. Groups of craftsmen often worked together in workshops. Farmers worked the land of the Pharaoh and nobles and were given housing, food and clothes in return. Some farmers rented land from nobles and had to pay a percentage of their crop as their rent. 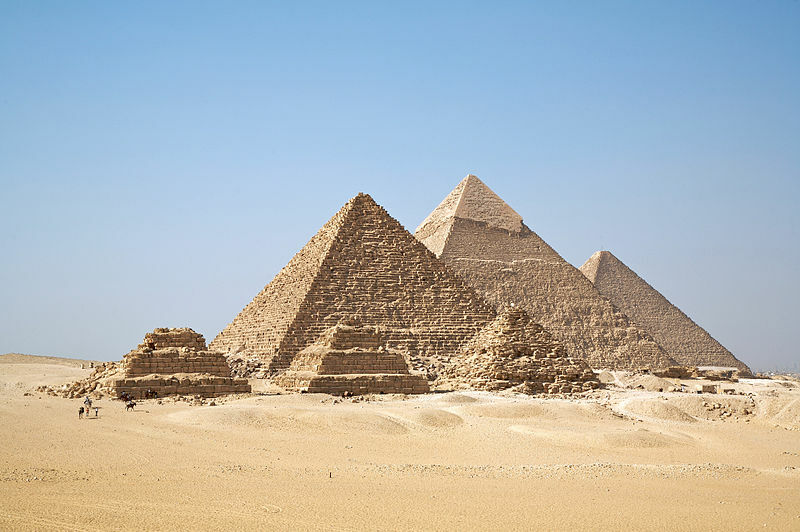 This article is part of our larger selection of posts about Egypt in the ancient world. 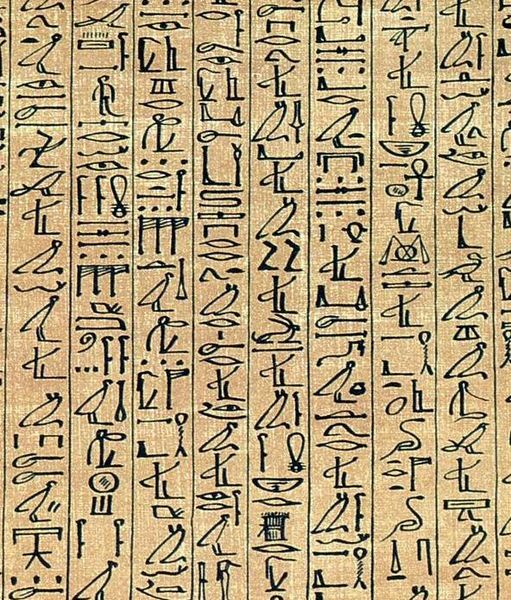 To learn more, click here for our comprehensive guide to Ancient Egypt. For more information on Egyptian social classes and other counter-intuitive facts of ancient and medieval history, see Anthony Esolen’s The Politically Incorrect Guide to Western Civilization © 2008. You can find it at Amazon or Barnes & Noble.